This week, the House passed a bill to revamp the IRS and drag it into the modern era after the House Ways and Means Committee advanced the bill last week. The Taxpayer First Act, which has bipartisan support, would address many of the IRS’s consumer-facing problems. But a provision in the bill would also prevent the IRS from establishing its own tax filing system, which stands to benefit the tax-filing services on which we’re all reliant. The IRS has for more than a decade offered a Free File Program that is operated through a deal with the Free File Alliance, which represents private institutions like H&R Block, TurboTax, and TaxSlayer. The program offers free filing tools through those companies and others if a taxpayer’s income is below $66,000. The provision would essentially bar the IRS from establishing its own service to compete with these private tax companies. ProPublica highlighted a number of issues with the provision, not the least of which includes an overly complicated and often expensive filing system that could potentially be made much less so if the IRS offered a program of its own. But ProPublica also noted that this bill has some less-than-ideal baggage attached to it. Baggage like millions in industry lobbying as well as campaign donations to Representative Richard Neal, chairman of the Ways and Means Committee, who, for example, received $7,000 from H&R Block in 2014, per the Center for Responsive Politics. This is, to put it lightly, never an ideal scenario. But there are certainly some strong arguments for the bill overall. 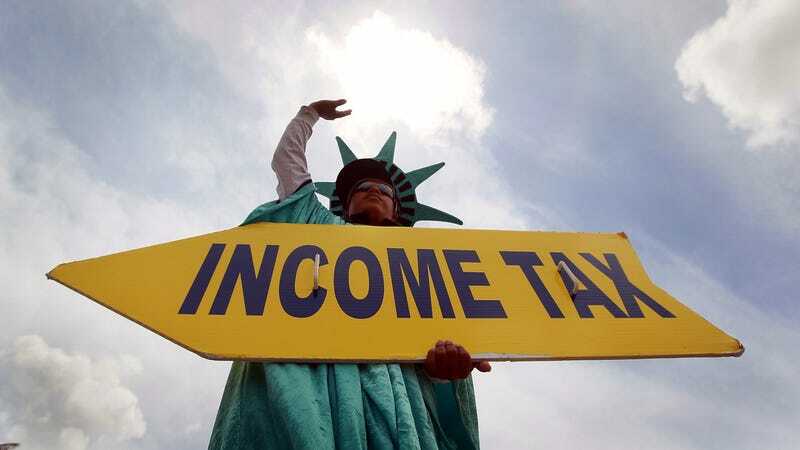 The current system has already been in place for some time, and it would ensure that the IRS’s Free File Program remains available to “the lowest 70 percent of taxpayers by adjusted gross income,” meaning these services will continue to benefit low-income taxpayers. In addition, the bill would mandate that the IRS work with state governments to expand upon and improve the program. The bill aims to overhaul IRS services, including by creating a single point of contact for victims of tax-related identity theft, among other changes geared toward addressing cybersecurity. Cybersecurity has become a bigger concern in recent years with a rise in tax fraud that’s expected to be even worse as we transition to a new tax code in 2019. It would also secure payment exemptions for low-income taxpayers as well as shield them from the IRS’s private debt collection program. The bill would, however, increase the penalty for those individuals who failed to file their taxes. The bottom line is that this bill is far from perfect and is tainted by corporate lobbying from the very tax institutions that stand to benefit from it. But even progressive members of Congress agree that it does on many fronts serve specifically middle- and low-income taxpayers. Representative Alexandria Ocasio-Cortez commended the bill on the House floor this week for its protection of the working class, per the Hill. However, she added that taxpayers should have access to easier and more streamlined filing resources.